If you’re going for a French Country look in your bedroom, then you might want to think about a wooden dresser for storage. 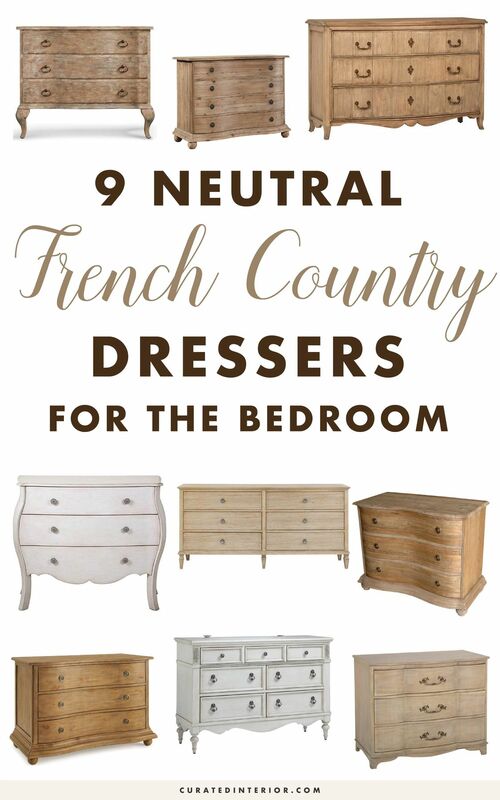 French country dressers are typically made of wood and finished in either a neutral brown, or a vintage white. 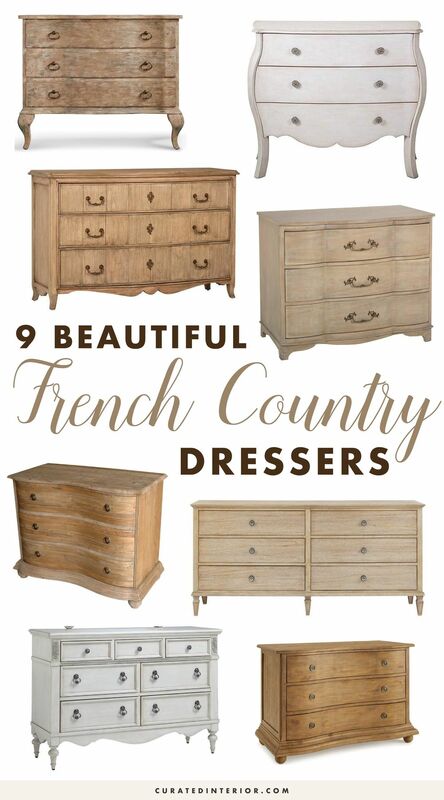 I’ve rounded up nine of the most beautiful French country style dressers you can buy online. Keep in mind some of these are investment pieces, but some more affordable dressers were included, too! 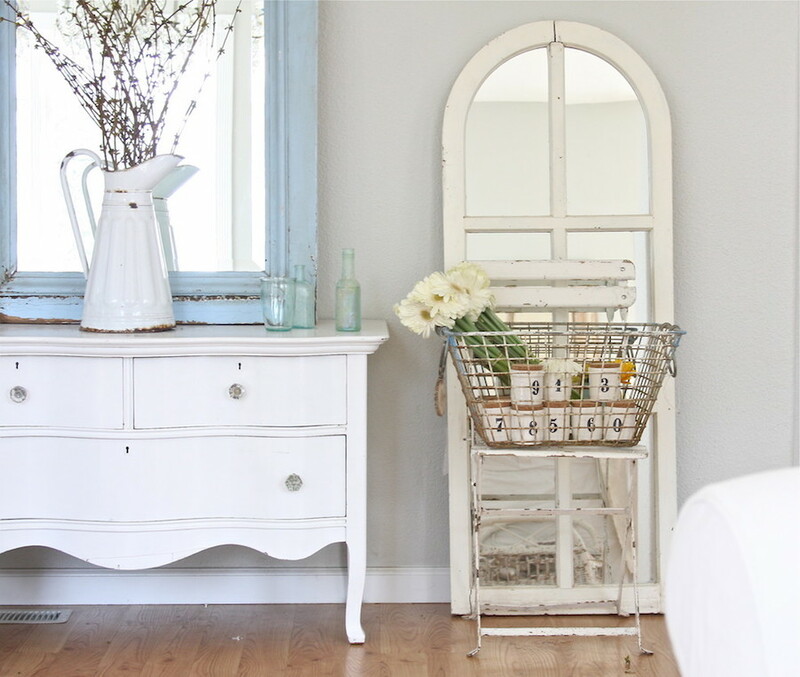 First up we have an affordable French country dresser in a vintage, weathered grey. 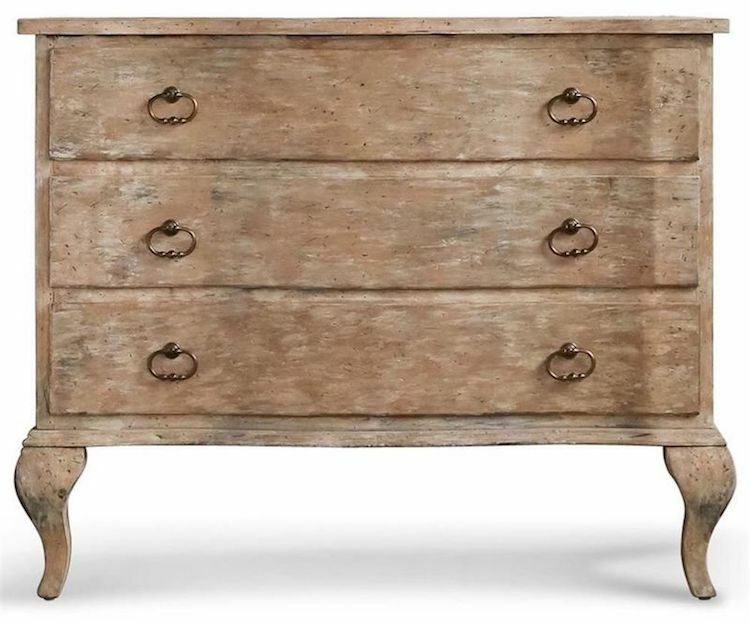 This farmhouse style dresser with French flair features a curving silhouette, three drawers, and a scalloped bottom edge. 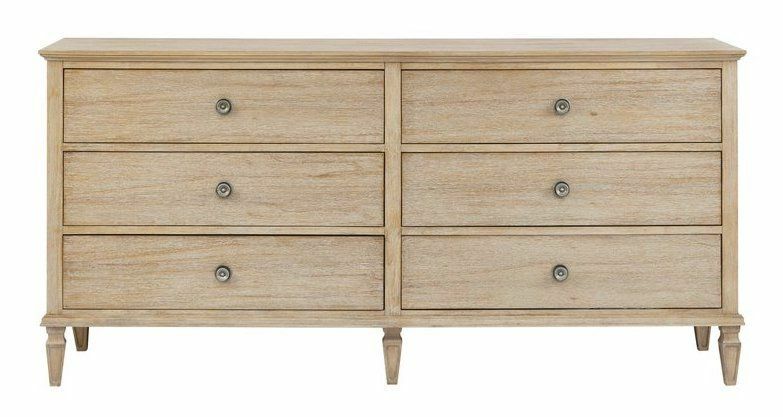 It’s just over 3 feet long, and at $321, this dresser is a steal! 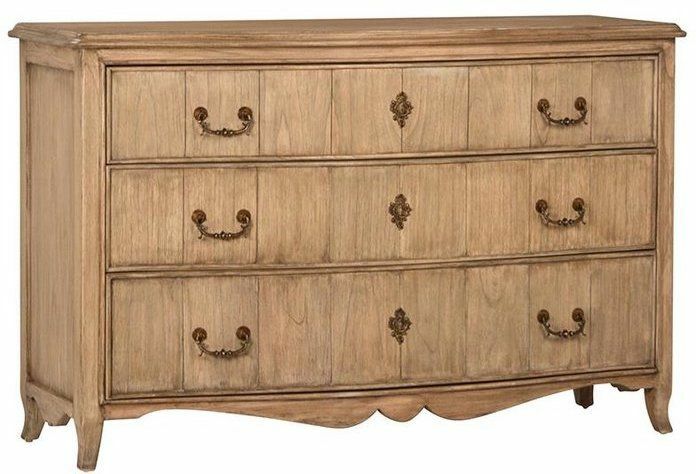 With six drawers, this long double dressers has ample storage for your French Country bedroom. It’s made with a combination of manufactured and natural wood. Overall it’s a nice natural wood finish and it will lighten up any room you put it in. The design is fairly rigid, and not as feminine as the other choices. It seems to be designed in the style of Louis XVI, giving it a neoclassical look. 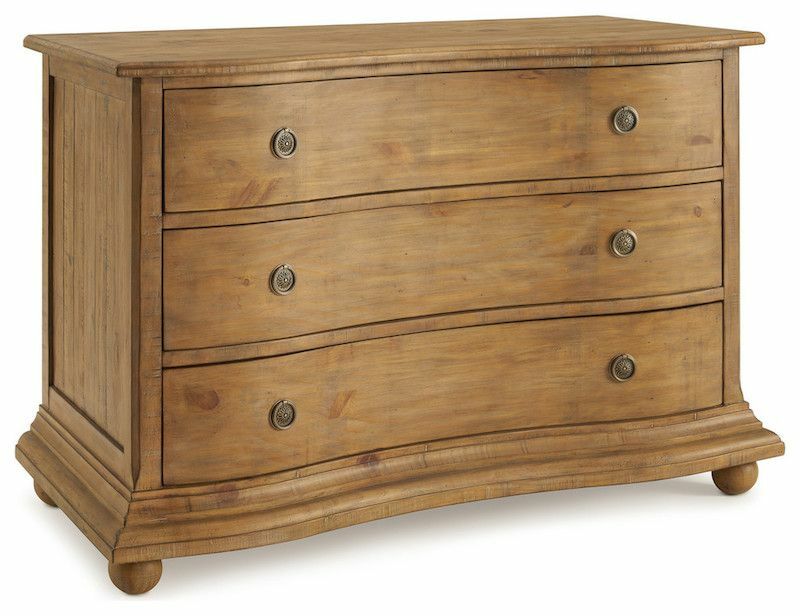 This neutral chest of drawers has a gently curving front side. It has been crafted from reclaimed pine and given a natural wood finish. It offers four drawers, metal pulls and bun feet. The top surface has been lightly distressed giving it a worn-in look, perfect for a country home. It measures 4 feet wide, and just under 2 feet deep. With a natural wood finish and gently curving base, this wide French country dresser is the perfect addition to your French country bedroom. The drawers have sliders on the side making it easy to roll them in and out. This dresser is made from manufactured wood and measures 55 inches wide (4.5 feet). 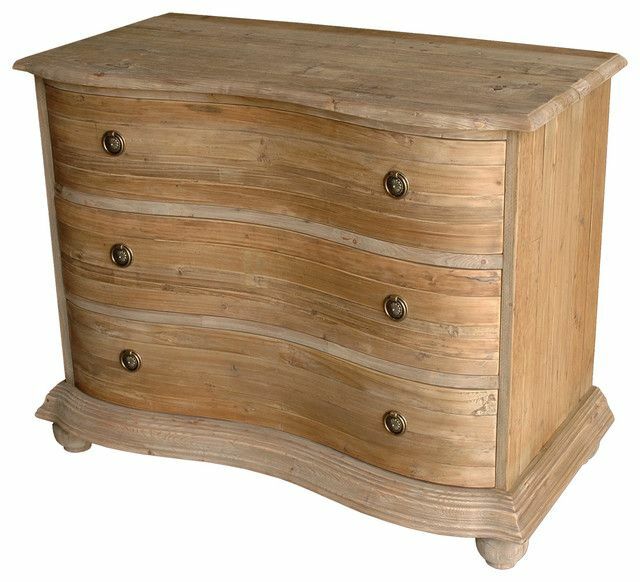 Made from reclaimed pine, this curved French country dresser will give your bedroom a rustic feel to it. The three drawers are dovetailed with brackets in the middle and stoppers at the end. 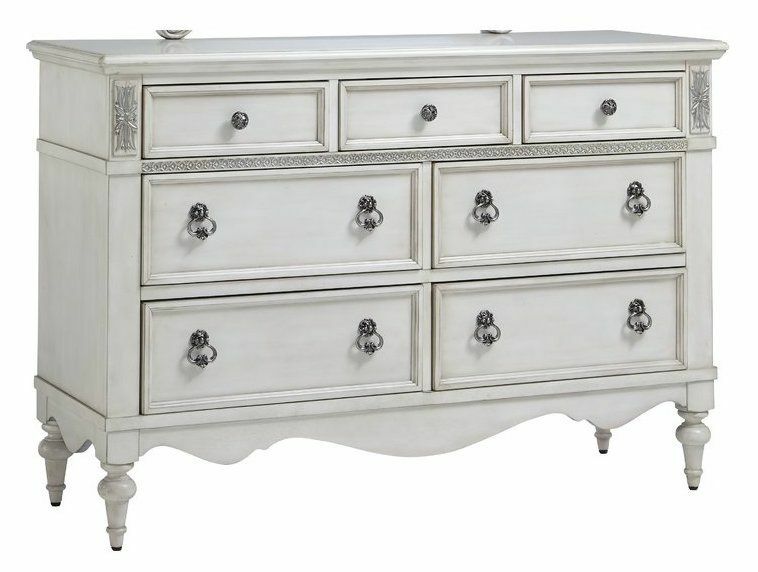 Highly rated by customers, this 7-drawer vintage white dresser is beautifully feminine and French. It has been crafted from Asian hardwood and birch wood with intricate filigree accenting on the front. Assembly is minimal and a tipover restraint device has been included. This dresser is fairly wide at 4.5 feet long. 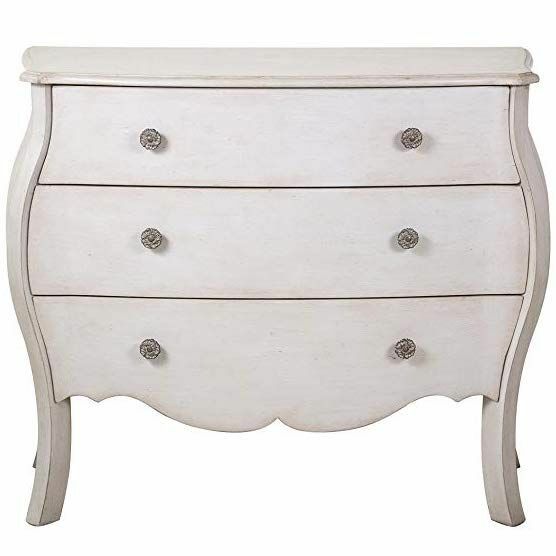 A gently curving shape to this French country dresser give it a feminine touch. With three pull out drawers accented with antique brass pulls, this dresser is great for small spaces. The farmhouse oak has been distressed giving it a country home appeal. The item is made to order and stands a little over 3 feet wide. 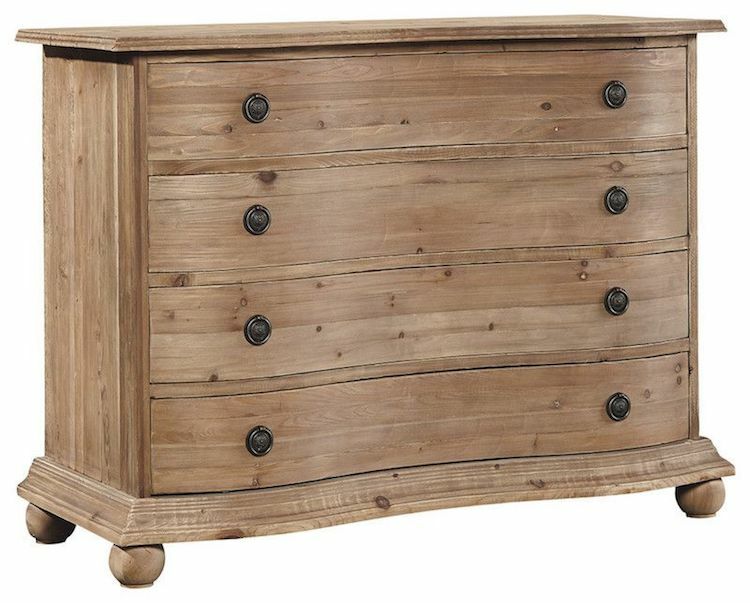 This lovely chest is made of solid pine wood and finished in a warm honey hue. Its three drawers have metal ring pulls. It stands at 50 inches wide, or 4.1 feet. 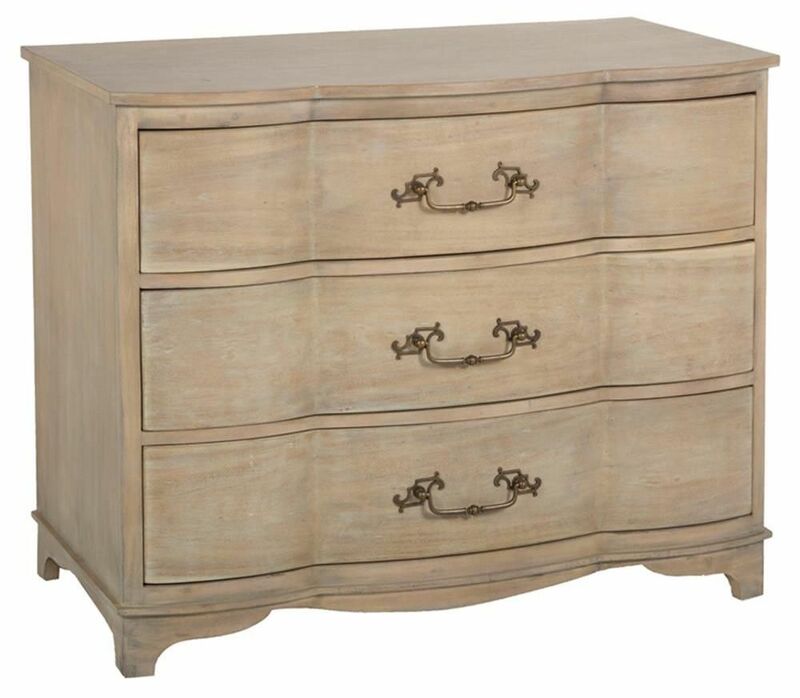 This classical French dresser has been constructed from wood and given a beige wash. It has a slightly blue tone and the inside of the drawers are blue. It measures 34 inches wide, under 3 feet.